Look up the night of March 20-21. There will be a supermoon. A supermoon is a full moon (or new moon but you don’t see the new moons even if they are super) that just about coincides with when the moon’s egg-shaped orbit puts it at its perigee, the closest point to earth during that month’s orbit. It happens Tuesday. This supermoon also coincides with the Northern Hemisphere’s spring equinox. In the Southern Hemisphere it is autumnal equinox. Vacationers take that opposite season into consideration when planning a trip. You’re right if you think you just saw a suspermoon. The closest supermoon of 2019 was Feb. 19, the middle supermoon of a series of three that occurred Jan. 21, happened again in mid February and ends with the one this week March 20-21. But this one comes on what is the spring equinox north of the equator and fall equinox south of the equator. Also called the vernal equinox, it is when the Sun is exactly above the equator during the Earth’s axis movement from south to north. Until this date, the Sun rises and sets somewhat south of the equator. After this date it rises and sets more to the north of the equator. You will likely start noticing the sun beginning to shine on a different part of your property. What else can you expect? The moon will look larger, mostly as it rises around sunset which is a moon illusion. But this supermoon will also look brighter and ts pull also has a tidal impact. Some people might even complain of sinus headaches. 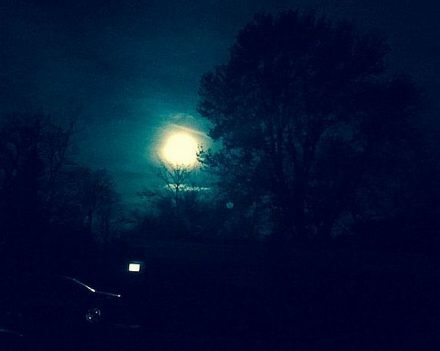 Of course you will see monthly full moons this year but the one coming up in mid-March is the last of the 2019 supermoons so mark it on your calendar. For more information visit Earth/Sky.